And then we all got bundled and out the front door and it was 16 degrees and the baby was crying and then Alice fell face first in the snow and then I realized the car was completely frozen shut and then I had to pour pans of hot ice-melting water over the passenger door while everyone wailed and then we all four climbed in that one door, one at a time, into the back seats and drivers seat and baby seat, and then we all buckled up and I shivered and took a breath of cold air and pulled out of the driveway slowly and then I turned Bing Crosby up very, very loud. ohhhhhh whyyyy do we live in snow country without garages? and automatic starters?? I just read him this blog and we both made hurting groaning sounds for you. I'll hibernate all winter if you will. Sorry. I know that rough cold bundling and freezing and pouring water kind of day. It's a do-over kind of day. sis, you are bringing back such memories! ugh. I've so been there. Ain't life grand? Alice's cute little face is enough to break my heart. Sending warm hugs, I hope this was the low point of your winter! so cold!!! so very cold. it's not even winter yet. i'm just not ready for this. also? the voice of bing crosby is one of the greatest, most soothing, happy making voices. did you just get lucky with it on the radio?? i promise it wasn't as awful as it sounds. it was more like, where is the hidden camera? please, tell me someone is watching us all climb in this one open car door, freezing and crying and shivering? i just want someone to be watching so we can all laugh about it later? and jenny, the bing crosby is a cassette tape. my 1998 explorer no longer has a working CD player, but we do have a tape player... and bing crosby's christmas tape was staring us in the face at the salvation army for 25 cents. we listen to it from thanksgiving to new years and have for three years straight now! 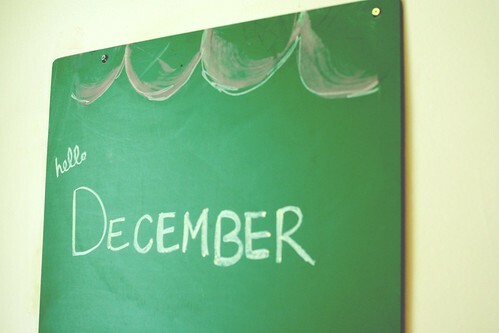 And when do we get to say goodbye to December? Why do we live in Indiana again? Hope tomorrow is a better day! wait. so you are saying that you are stalking me, right? that was my day last week. except for the pouring of the water. i just cranked the heat in that sucker and sat inside while it warmed the doors a bit. and then i was SUPERTY late. yuck yuck winter. i can't imagine babies in snow and ice. i, too, turn Bing up loud when we're having challenges...it seems to make everything better. Oh mama. I keep checking to see if school is delayed here. It's so cold! I hate to even open my front door. I'm laughing, but it's not really funny. I probably would have abandoned ship right there and called it a day. I have a real love/hate with winter. I love being inside looking out, but hate the "out" part. i hate winter and my heart breaks for you but i will be thankful for our cold SNOW-LESS days having read this. "the bing crosby is a cassette tape. my 1998 explorer no longer has a working CD player, but we do have a tape player... and bing crosby's christmas tape was staring us in the face at the salvation army for 25 cents. we listen to it from thanksgiving to new years and have for three years straight now! " You are so my hero. i can't even comprehend. at all. i have never lived where it snowed. most of my life in southern california, a brief stint in norcal and then to maui. my winters are cool, not cold. and yet i long for it a bit. oh hon. we don't have a garage either. and I am in awe that you poured the hot water over the doors. i would have probably waved my white flag and stayed home. boo. but i love that you cranked up some Bing. you guys are so supportive. and, um, i have to confess. we do have a garage. i just never park in it because it is disorganized and the garbage bags are always in the middle and i don't have an opener in my car. i know. dumb times ten. We do the Sinatra Christmas cassette in ye olde glorious station wagon. oh my. oh me oh my. this hurts. Aren't you just wowed by the fact that you did this with three small children??? You have been blessed with the wit, patience, and appropriate amount of humor, my dear. I'm so proud of you! Scratch that additional "the", or place the phrase "of a super woman" after the word humor. Hugs to you. It's December. A whole new month. Focus on the good memories and the new ones being made. Praying for you. not with babys.. i can only imagine..
Oh, my. Hope Bing Crosby saved the day. Man, I would have turned around, gone inside, and declared it pajama day. 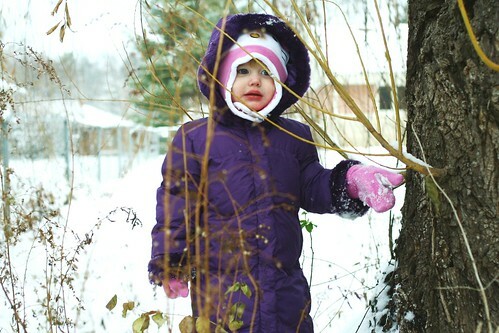 We used to live in a place w/ snowy winters once upon a time. I always disliked getting the car "ready" after a storm. Brrr. Hope you're doing well, Erin. I've been thinking about you.